Youngpro was was invited for the 4th successive year to overclock on the G.Skill booth. 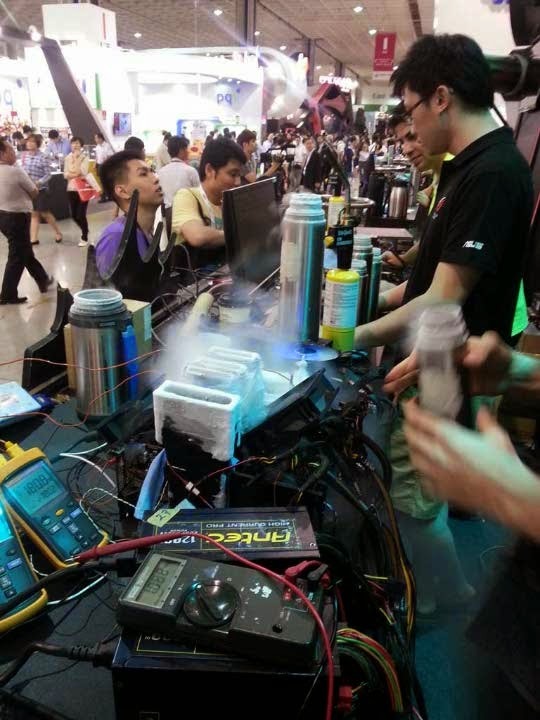 G.Skill has established a reputation as having the most impressive overclocking booth and this year was no different. This year we had a specific target; To grab the 2 records we were missing, 3DMark Vantage and 3Dmark Firestrike Extreme. 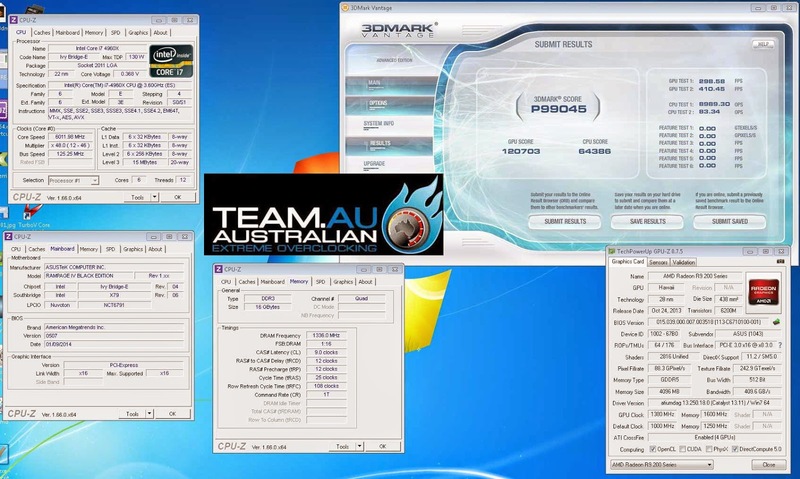 Elmor and Coolice from ASUS teamed up with pro to create a new 3DMark Vantage world record live on the G.Skill stage. The end result was over 99,000 in 3DMark Vantage and a new world record. Equally as impressive was just over 24,000 in 3DMark Firestrike, only 18 points behind the record at the time. 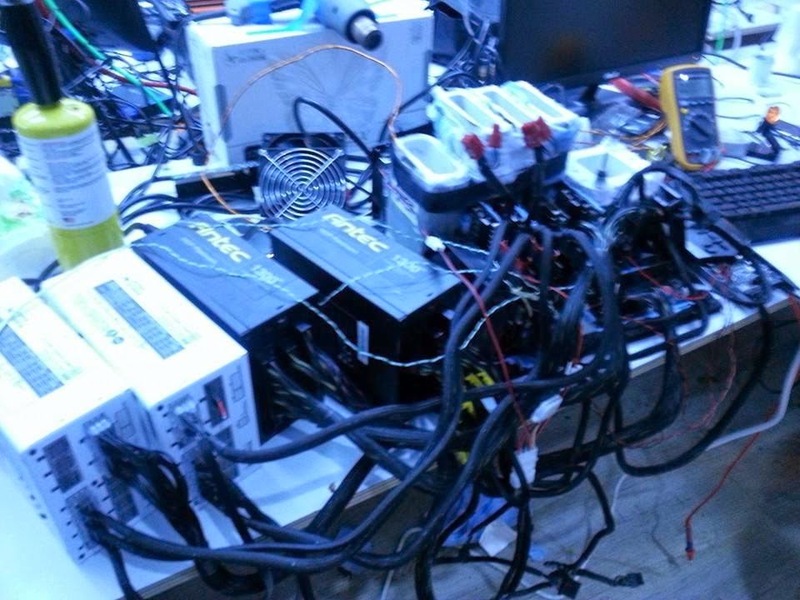 During Firestrike we were also able to extract 1445 MHz from the graphics cards, very crazy clocks for the AMD 290X cards in 4-way. After the Computex week finished we attended the HWBOT Computex Gathering event, where the "rag" continued. 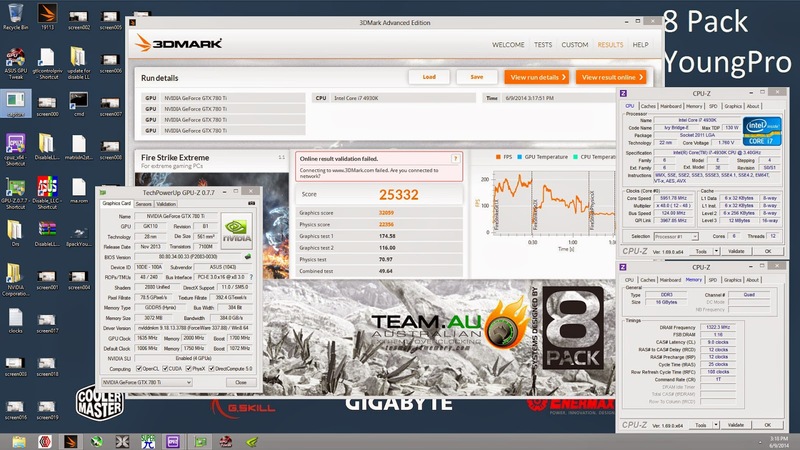 TeamAU's own pro and SniperOZ teamed up with 8Pack and Coolice to smash the 3DMark Firestrike Extreme record on livestream. This took 2 days solid work, from individually testing the cards, to slowly building them up in a 4-way configuration, the end result was magic. K|NGP|N and Galaxy had both broken the record earlier in the week made which made it even more special. A very proud moment for all of us, this was the only 3D record we didn't hold. Big shout outs to Coolice, without his consistent advice and support this score would never be possible. 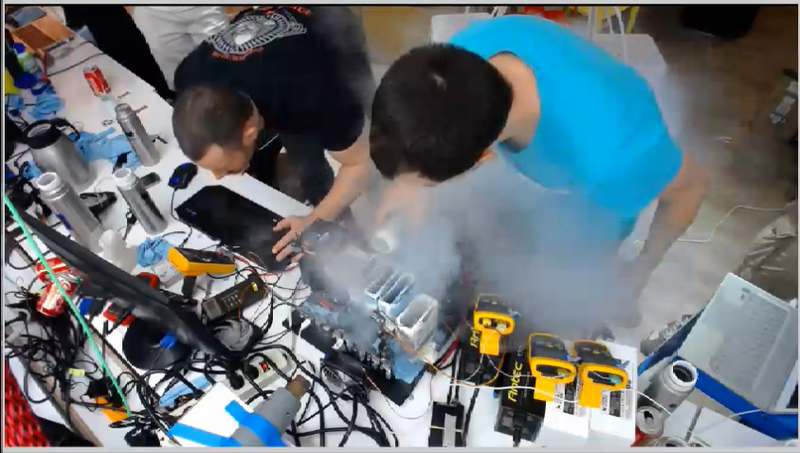 The whole session was captured on livestream by Overclocking-TV, you can catch the entire 6 hours of footage here, the magic happens in the last hour or so. Click the image below to view the stream. As of this moment TeamAU currently holds all the 3D global records, now we can rest!